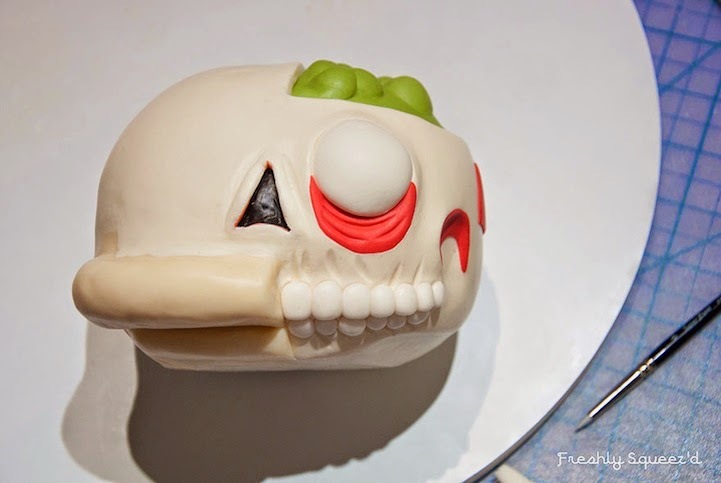 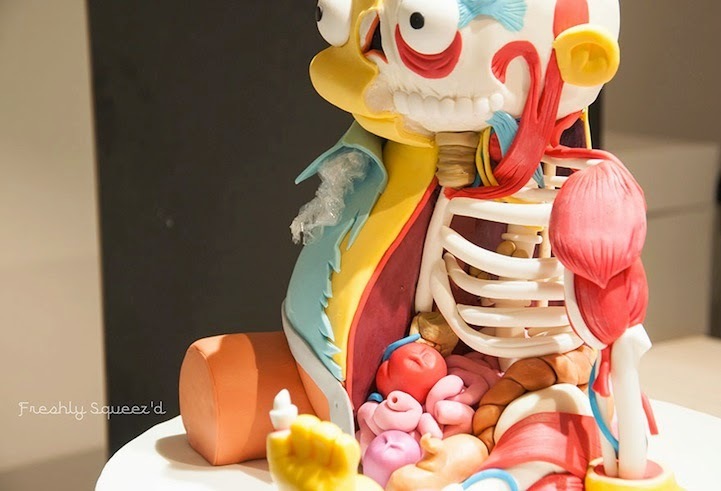 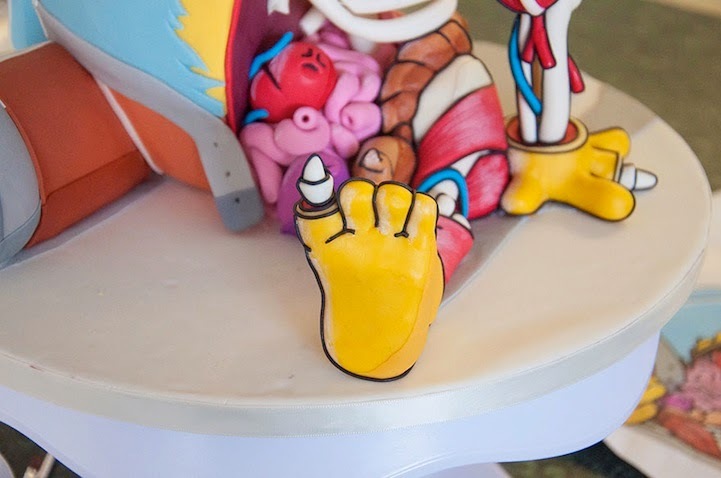 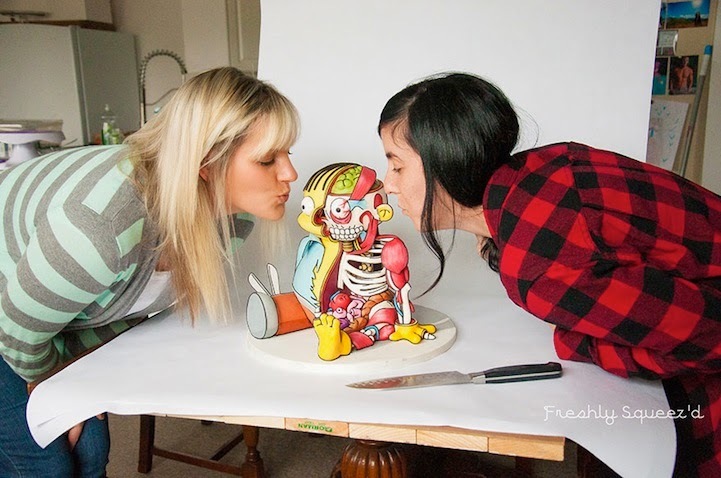 Canada-based cake designer Kylie Mangles captured the most uncanny details in this edible sculpture that looks almost like an illustration. 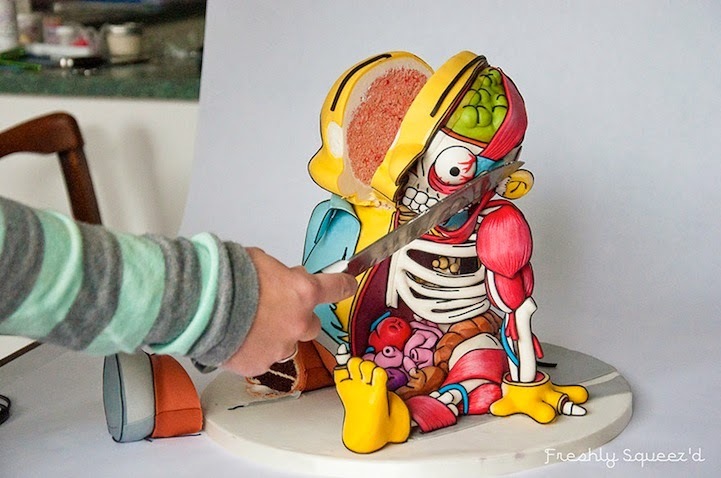 As a challenge to herself, Mangles decided to do something new and different by recreating an illustration by Erick Flores called Cutout Ralph. 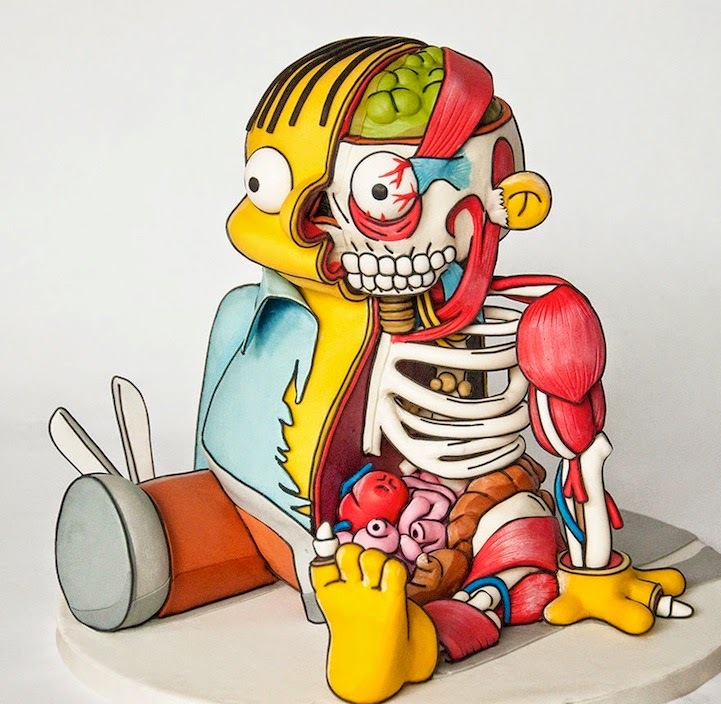 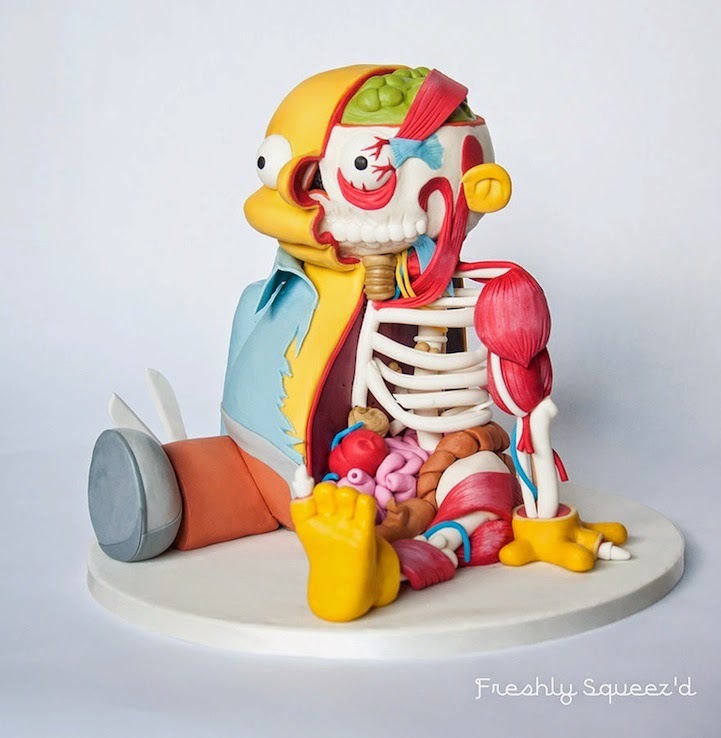 The image is half likeness and half dissected body of Ralph Wiggum from The Simpsons. 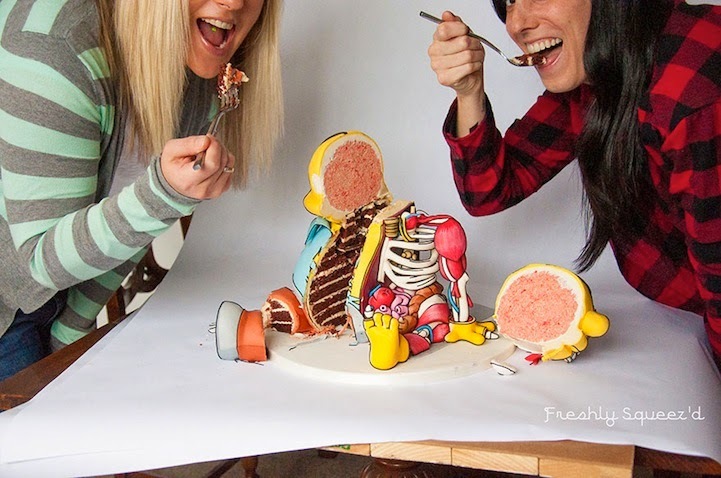 The concoction is a combination of red velvet cakes layered with vanilla bean swiss meringue buttercream, Rice Krispies treats, modeling chocolate, and tons of fondant. 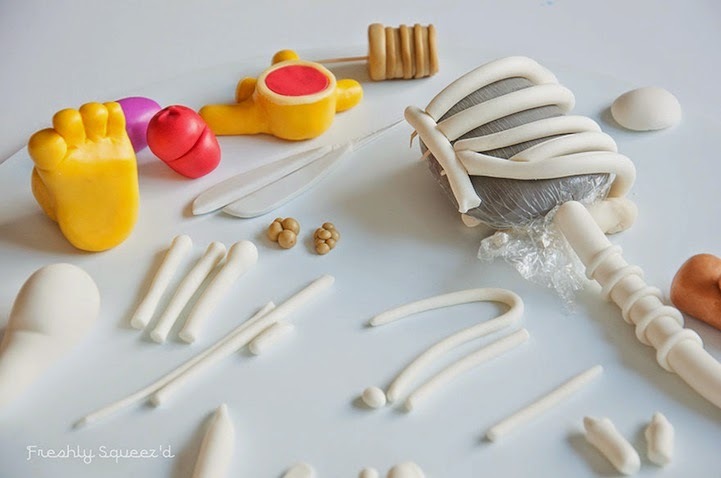 She began modeling the bones a few weeks in advance, but the majority of the piece took five days to sculpt and assemble. 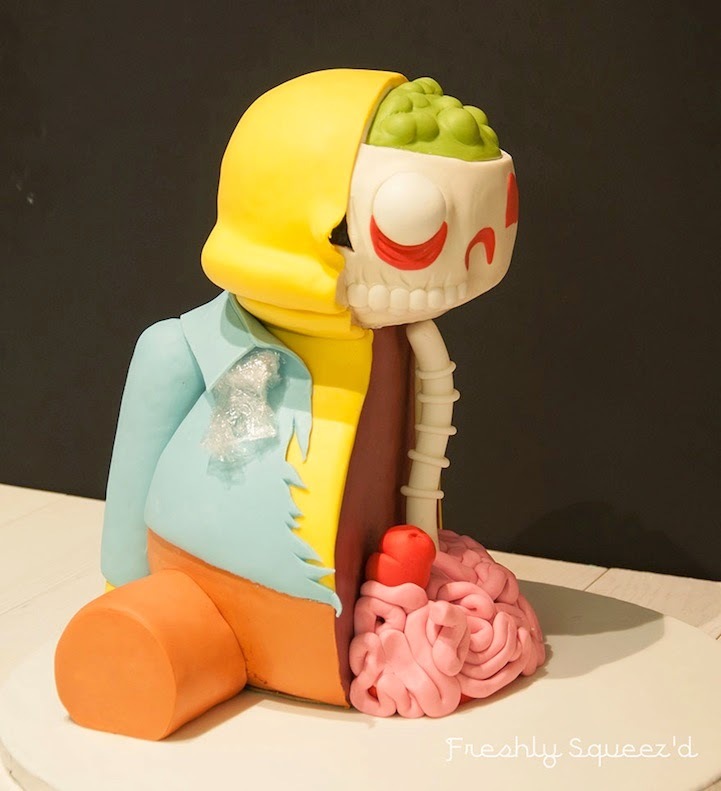 The final results are incredible and, according to Mangles, "pretty dang delicious!"